The global EV market continues to grow at rapid pace, with over 68.000 units delivered in May, representing a 61% growth YoY, with the YTD total up 49%, we are headed for a total sales number this year of over 800.000 units, not the Million a year that everybody was hoping for, but an encouraging number nonetheless. In the models ranking, the Best Seller of the Month was the Tesla Model S, thanks to the usual last-month-of-the-quarter-peak (5.401 units), winning for the second time this year the Best Seller Of The Month award, with the first time unsurprisingly being in March (You see the pattern, right? ), then with 7.777 units. 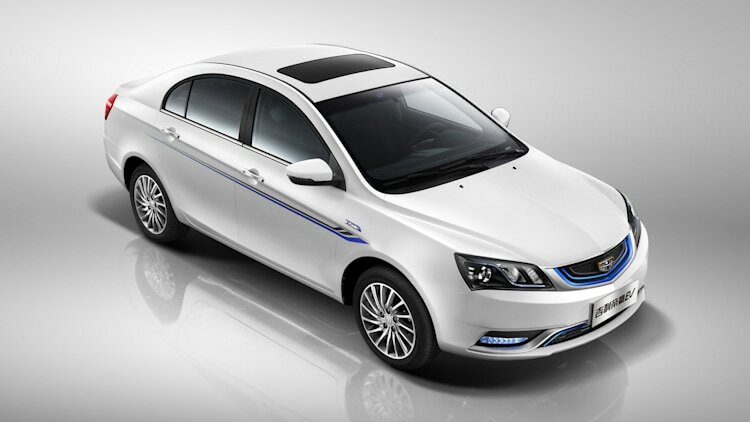 Looking below in the ranking, the BYD Qin was up two places to #8, thanks to 2.751 units, a year best, although still far from last last year record (4.030 in July), BYD's 300hp sedan has potential to climb even further in the ranking, possibly even repeating last year position (Fourth Place). As this is a Full Year special edition, we dig a little deeper, into the Top 20, where we can see five chinese models (#11 Roewe e550, #12 JAC i EV, #13 Kandi EV, #16 JMC E100, #19 Chery eQ), making it nine models coming from China in the Top 20. The Tesla Model X it's starting to appear on the radar, in #15, having been #10 in June, expect the Minivan-that-thinks-is-a-Sports-SUV to climb to the Top 10 later in the year. Looking at the BEV / PHEV breakdown, despite a slow start, BEV's are once again leading the race with 60% share, exactly the same number as when it ended 2015. Geely: The Next Big EV Maker coming from China? BYD has set an ambitious goal of doubling sales regarding 2015, and after a slow start, the Chinese brand is pushing hard to reach its own goals, in June it delivered 10,129 units, just short of its best performance ever (Last December, with 10.148 units). Will BYD beat its own record in July? It all points to that, the question will be by how much, the demand is there, it all will depend on their ability to deliver accordingly. Looking elsewhere, Tesla went back to Second Place and with the Model X finally without major production constraints, expect the Fremont-based automaker to be a hard cookie to remove from the Silver Medal Place. As this is a Full Year edition, we dig a littler deeper into the Top 20, where we see Zotye in an unusually low #13, compensated by JAC (#11 now vs #17 in '15) and Roewe (#12 vs #15) brilliant performances, with JMC also impressing. ...In 2014, Chinese automakers had 17% of the World EV Market, in 2015 their share grew to 32% and half year passed into 2016, their share is at 39%. Not only that, i expect Chinese car makers to have over 50% of the total EV market by December, 31st. Yes, in 2016. So regardless of what happens outside China (Anti-Tesla & EV lobbying, Trump, Brexit, etc), the EV (R)evolution will happen, the only question is: Will traditional automakers be part of it or will they go the way of Dinosaurs, replaced by new, more evolved kids, like Tesla and the Chinese car makers? #2 Mitsubishi Outlander PHEV – The Japanese SUV sales have dropped 12% YoY, to 1.757 units, ending the month in Second. Although growing in important markets, like Norway or Sweden, Mitsubishi hasn’t found a way to replace the average 300-400 units/month it had last year in the Dutch market and to stop the sales slowdown in the UK. #3 Nissan Leaf – Sales of the Japanese hatch were up 7% in May, to 1.572 units, not that far from the Outlander PHEV, and it has to thank to France and Norway for that, where it sells more than half of its volume. The question is: Can it keep up? The Leaf is getting a bit old now, and 250 kms range are not enough to fight longer range BEV’s (New BMW i3, 2017 Chevrolet Bolt Opel Ampera-e…) coming soon, so unless something happens, the most common EV in the world will have a hard time in Europe in the next year or so. #4 Tesla Model S – The (not so) surprise of the month, Tesla’s Sports-Sedan-that’s-actually-a-Liftback offered the usual last month of the quarter peak performance, reaching #4, with 1.484 units, a somewhat disappointing result, considering that in the last sales peak (March ’16), it had 2.380 units and in June 2015, 2.104 deliveries. Is the Model S becoming passé, now that the Model X is arriving to European shores? #5 VW Passat GTE – Thanks to Sweden and Norway, where, combined, it sold 686 units, Volkswagen’s midsize offering reached the Fifth Position in June, with 1.117 units, its best score this year. 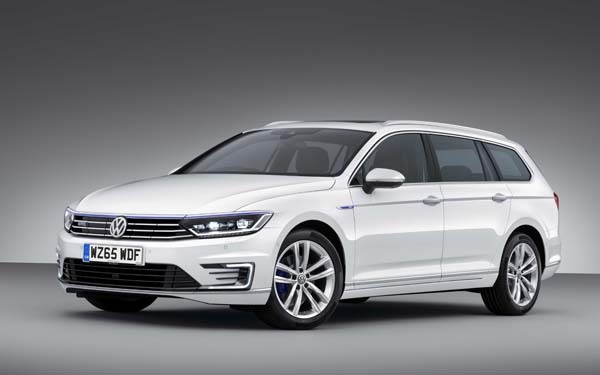 With the right mix of space, practicality, low carbon emissions and power, the Passat GTE is destined for success as company car for middle managers across Europe, something that could only be potentiated by the new incentives in Germany. Will we see it reach the podium this summer? If the podium positions are open to discussion, the apparent race for #6 will no longer exist in the coming months, with BMW presumably delivering a tsunami of i3’s soon, enough to recover the #6 and even put pressure on the underperforming #5 VW Golf GTE, affected by its Passat GTE sibling success. While the revised i3 hasn't yet arrived, BMW has already its hands full with their most recent PHEV’s. The 330e has risen to #13, thanks to 497 units sold in June, while the 225xe Active Tourer joined the Top 20 in #14, thanks to a personal record of 484 units, expect these two to continue rising in the ranking it the second half of the year. For some models to climb, others have to come down and we are giving a few lines on them. If regarding 2015, the Volvo V60 Plug-in dropping eight places to #17, falls into the logic of things, given the increase of competition (BMW 330e, Mercedes C350e, VW Passat GTE…), with more or less the same going for the six positions drop of the #10 VW e-Golf (Nissan Leaf 30 kWh, upcoming Tesla Model 3, confusingly named Opel Ampera-e…), the four positions drop of the #11 Audi A3 e-Tron is harder to understand, as it hasn’t got any direct new rival this year. Looking at the manufacturers ranking, the trophy bearer Volkswagen (16%), has lost some advantage over Renault (15%, up 1%), while the increasingly menacing BMW (13%) has risen to Third, dropping Nissan (12%, down 1%) to Fourth. With the 33 kWh BMW i3 coming soon, expect the Bavarian brand to continue winning market share and even possibly becoming the Best Selling plug-in automaker in Europe. Article also published on CleanTechnica and EV Obsession. 1) With sales at 306k, sales are up 48%, so if we multiply last year sales by 1.48, we get 812k...Not that far off, then. 2) Nissan Leaf is #1 right now, with 27k, followed by the Tesla Model S (22k), BYD Tang (19k) and Outlander PHEV(15k). But i'm still betting on the Tang, it's the model with most growth potential. 4) BYD Tang is #1, with 19k, with the #2 (BAIC E-Series) 9k behind...Enough said. 5) The US market is growing 18%, which is leading to a 136k total number, which is 34k below expected. Then again, the Chevy Bolt and Prius Prime might still pull the market up, right? 7) With Japan growing 22%, they are set to a 31k total number. 8) With the Leaf at 9k and the Outlander PHEV at 4k, Nissan's hatch has 90% probability of winning the 2016 title. 9) The European EV Market is growing at a 20% rate, so the final number will be around 233k, a bit below our forecasts. 11) Sales are down 61%(! ), so the total number should be around 10-15k, much lower than our forecasts. 12) Another big miss, right now the most likely Best Sellers are the Tesla Model S, Volvo XC90 T8 or the BMW 330e. 13) I remember we had some difficulty doing this forecast, as we were afraid to be too conservative, but with growth at just 30%, the market is going for 45k by year end, within our forecasts. 14) The VW e-Golf is still #1, but not for long, the Mitsubishi Outlander PHEV seems unstoppable right now. 16) The Outlander PHEV will be #1 with 80% certainty, but the Mercedes C350e might still surprise. 17) The French EV market is up a healthy 53%, leading to some 42k, a win to Roland's forecast. 18) Renault Zoe has 7k, the #2 Nissan Leaf has 2k. 19) Looking just at the growth rate (8%), it this market would go for some 30k, but incentives kicking in, expect a tidal wave of registrations, so the 44k of Roland seems perfectly possible. 20) Quite frankly, anything can happen, as nobody knows who will benefit most from the incentives, but my bet now would be the BMW i3, currently #2 and receiving new batteries just in time for the new incentives. Is it possible to go 100% EV?